Storing data within InDesign document is possible with insertLabel() but there is another place to save information about document. 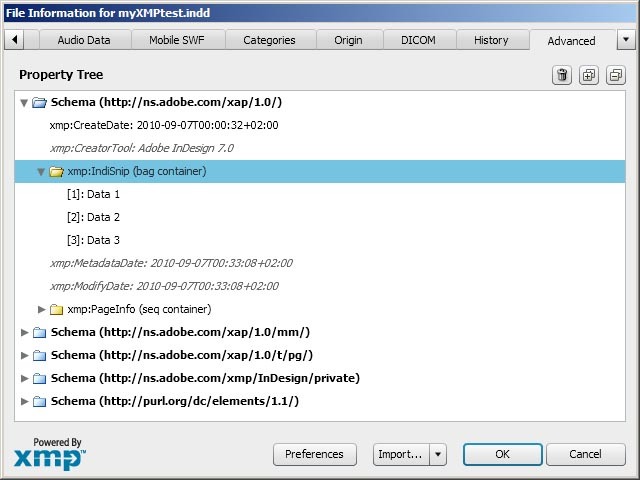 As we know, all InDesign documents have metadata stored in file itself. For more info take a look at other Metadata related posts listed at the end. First, let’s take a look how to store data into Industry standard namespaces. Thing we need is a list of namespaces, win URI-s. 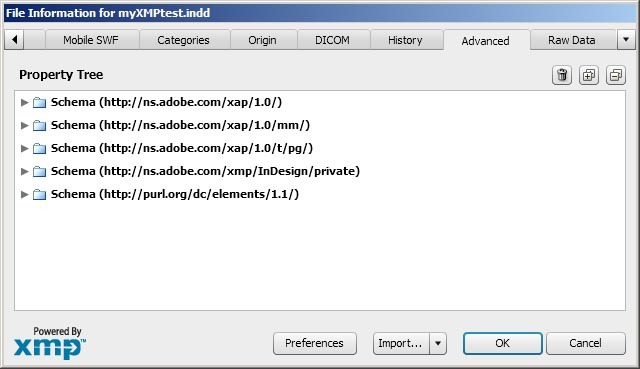 List can be found here: Extract Metadata with Adobe XMP [Part 2] in table. We can insert single values, or we can create container (Array) with multiple values in one node. 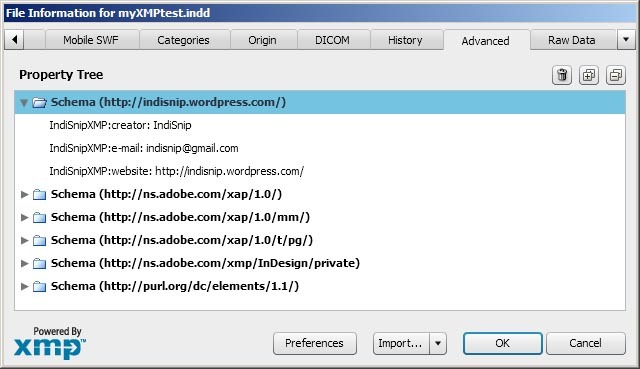 To store XMP into custom namespace, we have to use append() method from metadata Class. One downside is that we can’t pass String containing XML, instead, we need to pass XML file containing xmpmeta nodes. I have extracted XMP from actual file and stripped all unnecessary nodes. Save this to new file and name it ‘myTestXMP.xml’. Also, don’t forget to check Adobe XMP documentation for more info! That is fantastic, thanks! I work in Applescript but the principals are the same. I was especially needing to add my own namespace, and this article helped me a lot!